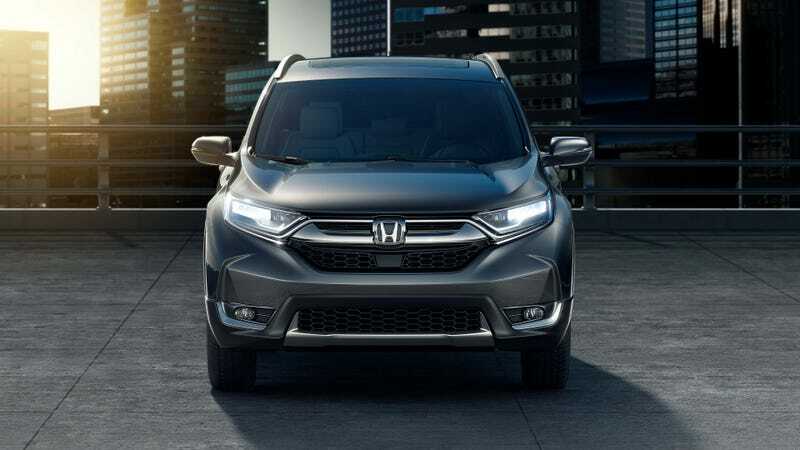 I have been trying to figure out why there’s such a different vibe to the new CR-V. I’ve been seeing them on the road but today was the first time I’ve actually looked at pictures and that is a very American aesthetic. Like what a new Dodge Journey design should spawn from. Honda should make a three-row option (if it doesn’t already). On a related note, the sales increase of the Nissan Rogue and Honda CR-V are approaching pickup sales. The scary part is that the pickups count their entire lineups, these two CUVs are just one model line! If Nissan counts the Rogue and upcoming Rogue Sport (Qashqai) sales together in the US then they could very well become the second best selling model line in America (including trucks). Think about how much that would completely change the industry and the products made for the US.